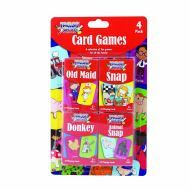 Fun for children and the whole family with this pack of card games. Product description: Includes Snap, Animal Snap, Old Maid and Donkey. Full instructions provided. Each card game comes supplied in its own box 80mm x 54mm for storage and safe keeping. Games require 2+ players. Fun for children and the whole family with this pack of card games. 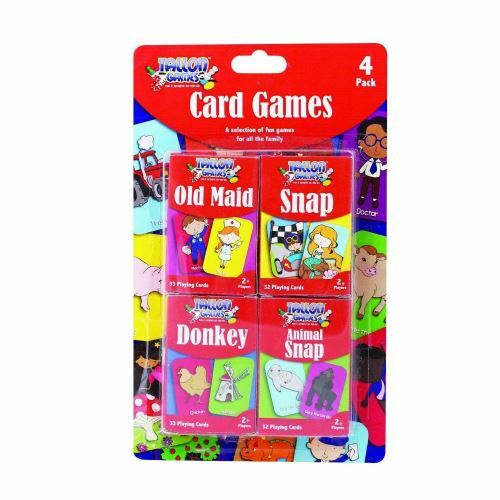 Includes Snap, Animal Snap, Old Maid and Donkey. Each card game comes supplied in its own box 80mm x 54mm for storage and safe keeping.